Young adults in the United States are more likely to become addicted to prescription opioids than they were in years past. And they're more likely to use heroin, too, a new study says. A review of federal data found the odds of becoming dependent on opioids like Vicodin and Percocet increased 37 percent among 18- to 25-year-olds between 2002 and 2014. The study was conducted by researchers from Columbia University's Mailman School of Public Health in New York City. A grim picture emerged among slightly older adults, too: Risk of an opioid use disorder more than doubled among 26- to 34-year-olds, increasing from 11 percent to 24 percent, the study found. "Our analyses present the evidence to raise awareness and urgency to address these rising and problematic trends among young adults," said study first author Dr. Silvia Martins, an associate professor of epidemiology. "The potential development of prescription opioid use disorder among youth and young adults represents an important and growing public health concern," Martins said in a university news release. The study was recently published online in the journal Addictive Behaviors. According to the study, past-year heroin use soared over those 12 years -- jumping from 2 percent to 7 percent among young people ages 18 to 25. And rates climbed sixfold to 12 percent among adults 26 to 34. Also, a majority of 12- to 21-year-olds who began using heroin reported opioid abuse between the ages 13 and 18, according to the researchers. The only semi-encouraging news to emerge from the study was that the odds for an opioid addiction among younger teens remained stable. Teenagers and young adults need to be informed of the potential dangers of illegal opioid use, Martins and her colleagues said. 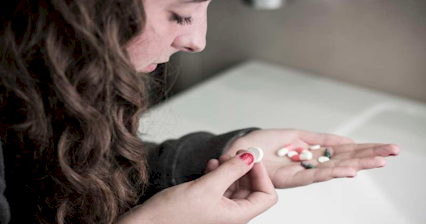 "While increases in prescription opioid use disorder might be rooted in health policy, medical practice, pharmaceutical industry interests and patient behavior, it is critical that the general public, particularly youth, are informed about the related harms and disorders that can occur when prescription opioids are used without regular medical supervision," Martins said.